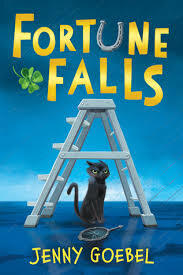 Welcome to Fortune Falls, a magical town where superstitions are real. Four-leaf clovers really do bring good fortune, and owning a rabbit’s foot is the secret to success. However, there aren’t enough charms in the universe to help Sadie Bleeker. She can’t pass a ladder without walking under it, and black cats won’t leave her alone. That’s because Sadie is an Unlucky. And things will only get worse as she gets older, which is why Unluckies are sent away at age twelve to protect those around them. Sadie can’t stand the thought of leaving home, so she and her friend, Cooper, devise a plan to reverse her bad luck. But when their scheme accidentally results in a broken mirror, the situation turns dire. Because for Sadie, seven years bad luck isn’t an inconvenience — it’s practically a death sentence. Can a girl who’s never so much as found a single lucky penny change her fortune? Or will she be forced to celebrate her twelfth birthday by saying farewell to everyone she loves? I love the cat. Partially just because I love cats but I really like the fact that (spoiler alert) in their community entirely based on superstition, a black cat saves her. Irony is beautiful. perceived. 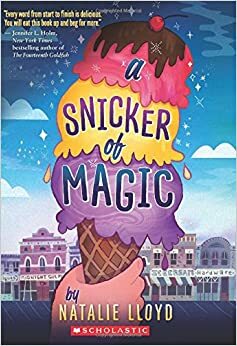 I really liked that, even though their town is magical and luck is practically tangible, the author still let her characters realize that “luck” is a notion made up by people to make themselves feel special. Basically, it was pretty good I thought of a lot more good things about it than bad, and I really love Copper, like y’all should read it just for him. 😉 Have a good week everyone! BTW: Everything below entirely belongs to Shannon I didn’t write any of it it’s just her newsletter copy pasted. 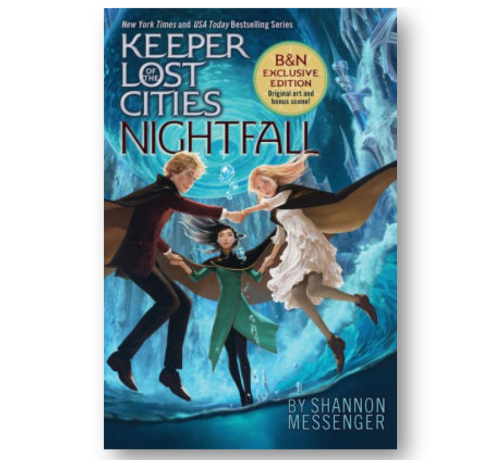 I can’t believe we’re less than two months away from NIGHTFALL (it’s coming out11/7/17 in case you didn’t know). And in the weeks ahead I’m going to have all kinds of important things to reveal (including how to take advantage of the pre-order giveaway). So keep an eye out for all of that VERY SOON. But today I have something equally exciting: the NIGHTFALL tour dates! Scroll down to see where I’ll be heading–hopefully it’s near you! HOPE TO SEE YOU ON THE NIGHTFALL TOUR! A couple more events are still being confirmed, but since I know so many of you have been asking about the tour, see below for everything that I know so far! – As I said above, I will be announcing a couple more events. BUT. The reason I say that is because that there are a few things already in the works that I’m still waiting for confirmation on. So sadly, emailing me begging me to come to your city isn’t going to change anything (especially since my publisher chooses the tour stops, not me). Sorry–if I could teleport, I’d go everywhere I possibly could. But I have yet to manifest that ability! – I’m still waiting for confirmation on which events are and aren’t doing tickets/wristbands, so as I said above, it’s best to contact the store directly. BUT, I’m pretty sure the Changing Hands event, the Launch Party at the Grove, and Keplers will be doing some sort of ticketing so if those are the events you’re planning on going to, I’d definitely recommend calling the stores. And of course I will update my website once I know anything for sure. – It’s also best to check with the store to find out their policies about bringing books from home (every store has different rules), but please keep in mind that most stores will require you to buy one of my books in order to get in the signing line. And at events with large crowds I will have to limit the number of books I can hand sign per person (usually somewhere between 1 and 3) but I will have a fancy signature stamp with me that we can put in the others–that way we save my hand from becoming a claw and your books still look super pretty! – I get asked a lot if I’ll sign things other than books–and it depends on the thing and also on the crowd. In long signing line situations, I might have to decline. And I won’t sign books that other people have written–or body parts. But I’m usually okay with most else. And I’m happy to sign any of art/items from my Society6 store–but you have to bring them with you to the event. Click HERE to see what’s available. – At events with large crowds, photos may be limited to “candids only.” It will be up to the store once they see the size of the signing line. – Yes, the Launch Party is at a new location this year, so if you’ve gone in years past, make sure you’re planning to go to the right place. And I have some extra fun surprises in store this year, so if you can make it, I promise you won’t regret it. – Yes, I will be giving out free swaggish goodies at all of my events!! 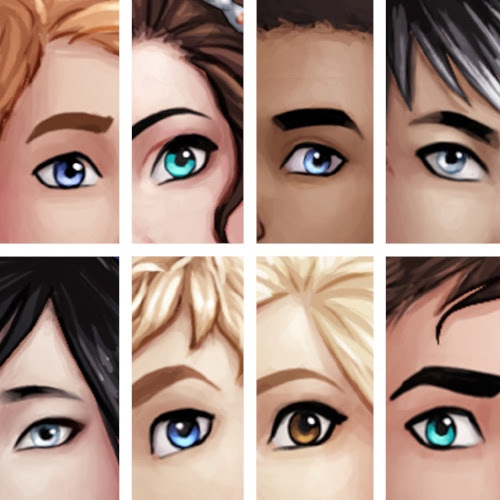 (Just like in years past, the Changing Hands Event and the Launch Party will both have EXTRA special goodies, but every tour stop will have fun swag that I’ll be giving away to everyone who buys a book, on a first come, first served basis. I always have a lot, so the chance I’ll run out is fairly small. But it does happen so if you’re worried, get there early) I’m still waiting to find out what the items will be–and I promise an update as soon as I know. – If you can’t come to one of these events–never fear! You can still take advantage of the pre-order giveaway. All the rules and instructions for how that works are still to come, but just know it’s happening and I will update you as soon as I know! – You asked for a long book–and you’re getting one! NIGHTFALL is, um, 91 chapters. And 800 pages. You are getting a LOT of Sophie & Crew! – Nightfall has a scene that has been in my head for the last seven years. No, I won’t tell you which one (remember–no spoilers!) But I can’t wait for you guys to read and finally know that secret! Copyright © 2017 Shannon Messenger, Author, All rights reserved. 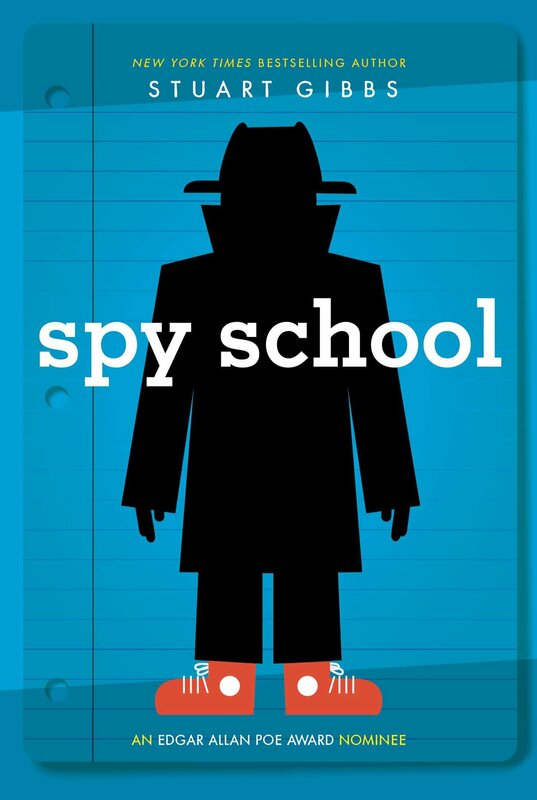 I really liked this book, and it was fun to read the other two books in this series that I have- Spy Camp and Evil Spy School. Some of the plot twists were pretty obvious, but the plot was complicated enough that there were definitely some surprises- it was sort of like middle grade Sherlock Holmes. In the first book, I also really enjoyed the characters. Erica Hale was your typical extremely awesome straight A spy, but her dad is… not so awesome as he first appears. However, it got a little tiring after a while. The whole “Oh no we’re in trouble!” and then “Oh wait… Erica’s here we’re fine,” thing definitely got old. Ben started actually doing some useful stuff occasionally, but I still felt like Erica needed to mess up more to make her more realistic. Erica and Ben’s relationship was pretty good though, I liked their friendship and how she sort of taught him how to figure stuff out himself, but it was kinda weird how they weren’t friends at the beginning, and then at the end they were, and then at the start of the next book, they wouldn’t really be friends again, and by the end they would be, etc. I loved some of the spy stuff they put in there, though I don’t know if any of it is at all accurate. I liked the creative ways the bad guys’ plans were foiled, and I liked how most of the time if you really paid attention, you could figure out the bad guys’ plans for yourself. This is a good, fun book to read for some cool spy action, and I like the books individually, but thinking of them all together, they seem to get a little repetitive. Rachel Brooks is excited for the new school year. She’s finally earned a place as a forward on her soccer team. Her best friends make everything fun. And she really likes Tate, and she’s pretty sure he likes her back. After one last appointment with her scoliosis doctor, this will be her best year yet. Then the doctor delivers some terrible news: The sideways curve in Rachel’s spine has gotten worse, and she needs to wear a back brace twenty-three hours a day. The brace wraps her in hard plastic from shoulder blades to hips. It changes how her clothes fit, how she kicks a ball, and how everyone sees her — even her friends and Tate. But as Rachel confronts all the challenges the brace presents, the biggest change of all may lie in how she sees herself. 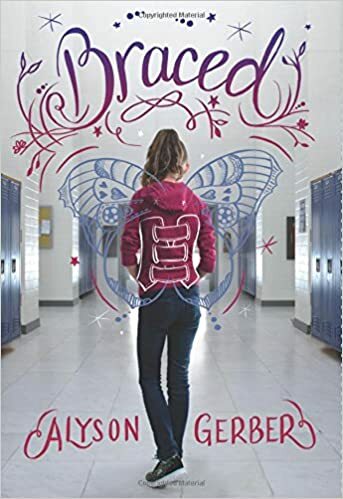 Written by a debut author who wore a brace of her own, Braced is the inspiring, heartfelt story of a girl learning to manage the many curves life throws her way. I’m going to list three things I liked, and three things I didn’t like, and then I’m going to do sort of a recommendation paragraph where I say who I think might like it. Well written friendships!!! Sooo for a little while I felt like I do with a loooot of books like why? are her friends perfect??? But then you saw their FLAWS and they said MEAN STUFF and they got OVERWHELMED by Rachel’s back brace, which obviously is bad for Rachel but what’s bad for the main character is good for the book. 😉 Like, yeah, her friends are awesome, and I actually like them, but they are seventh grade girls, and they felt real. Well written seventh graders. LOL I think that “overexaggerated seventh graders” is going to be one of the things on my dislike list because of certain things but I’m actually going back and forth on this because yeah they’re seventh graders and they’re insecure and only starting to mature and they’re squealy and giggly and can be petty and I liked that that was in there but then sometimes I was like yeah right that’s overdoing it. People don’t act like that. And then I was like but I’m not in seventh grade anymore?? And I went to a weird school?? (A super nice one but a super small one) So maybe people do act like that? I don’t know but if any of you had a more normal seventh grade experience I would love to hear your input on how accurate BRACED is. Over exaggerated seventh graders. Okay, let’s just talk about their speech. They were talking about dating people and they said, “OMG you guys are totes going to be BF/GF.” (More or less. That’s not an exact quote but close) Did they pronounce those letters every time? Why can’t they just say boyfriend and girlfriend? Am I using too many question marks in this post? SPOILERS IN THIS PART. Tate. (For like 3 chapters) Rachel and him were at their seventh grade formal, not technically together, but it was implied, and he takes her outside and says that she looks pretty and then kisses her and then his friend comes out and says somethin like what’s happening out here? And Rachel says something like “We like each other, get over it.” And Tate’s friend says something like “Oh, I didn’t know you were into freaks now, Tate.” And Tate’s just like whaaaaatt nooooo I don’t like her I don’t know what she’s talking about? It was very angering I must say. And then, to be fair, he explains himself somewhat about why he’s so loyal to his friend and things are sort of okay? But I felt like, it was good that she accepted his apology of course, but then they got together again really soon? By the end I was like okay okay Tate is cool but that part made me sooooo mad. Which actually I guess is a good thing maybe? Because good writing makes you feel things? Okay this is a sort of random thing I just thought of but on the front cover Rachel has wings, and I wish the author would have done more with that symbolism wise, though of course she probably didn’t see the cover until she had finished the whole book… but just I liked the idea of the wings and I wish the author had built more off of that. Midnight Gulch, Tennessee, used to be a magical place, a town where people could sing up thunderstorms and dance up sunflowers. But that was long ago, before a curse drove the magic away. Twelve-year-old Felicity Pickles knows all about things like that since her nomadic mother is cursed with a wandering heart. But when she arrives in Midnight Gulch, Felicity thinks her luck’s about to change. A “word collector,” Felicity sees words everywhere — shining above strangers, tucked into church eves, and tangled up her dog’s floppy ears — but Midnight Gulch is the first place she’s ever seen the word “home.” And then there’s Jonah the Beedle, a mysterious, spiky-haired do-gooder who shimmers with words Felicity’s never seen before, words that make Felicity’s heart beat a little faster. Felicity wants to stay in Midnight Gulch more than anything, but first, she’ll need to figure out how to bring back the magic, breaking the spell that’s been cast over the town . . . and her mother’s broken heart. This was a spindiddly book, as Felicity would say! I really loved Jonah; he was an adorable best friend for Felicity, and yet not cliche. Also, the cover. Can you tell yet how often I judge books by their covers? I love books with bright, colorful covers that stretch across the whole book. Underlying basic plot line, (without magic and all) is kind of cliche. A girl and her single mom, traveled all their life, the girl really wants to find somewhere to set down roots, etc. BUT, the magic, and the curse, and all the word building obviously helped off set that. Unrealistic amount of ice cream eaten, and lack to further the explanation of magic behind said ice cream. They ate, like 3 cartons of ice cream every day. I love ice cream, believe me, but wooooow. Felicity’s word collecting. Throughout the book, she sees words sort of floating around, and she collects them. I really like some of the obscure words she finds, and some of the not real words she finds, too. The creativity of the town peoples’ ‘powers.’ Like, not just super strength, or flying, but collecting words, knowing what someone needs, and trapping shadows. The sense of community. Last, but not least, I really liked all the people in Midnight Gulch. I love middle grade books with lots of sort of ‘neighbors,’ who may not have a super significant part in the plot line, but love the main character all the same. This was a cute, fun read, good for people who like words and family/friendship heartwarming community kind of books. Have a great week everyone! In a magical world where everyone has a Talent, eleven-year-old Cady is an orphan with a phenomenal Talent for cake baking. But little does she know that Fate has set her on a journey from the moment she was born. And her destiny leads her to a mysterious address that houses a lost luggage emporium, an old recipe, a peanut butter factory, a family of children searching for their own Talents, and a Talent thief who could alter her life forever. There was this mysterious character that you never really learned much about and he’s just sort of there and that seemed kinda weird to me. There were a looooot of characters to keep straight. There’s no sequel to tie up the loose ends. Turns out Lisa Graff is a pretty well known Middle Grade author. Any others of her books that you guys recommend? Happy Easter! Obviously, they had to skip over a lot of what happened at the castle in the movie, because it would’ve taken ages to go over all of that. 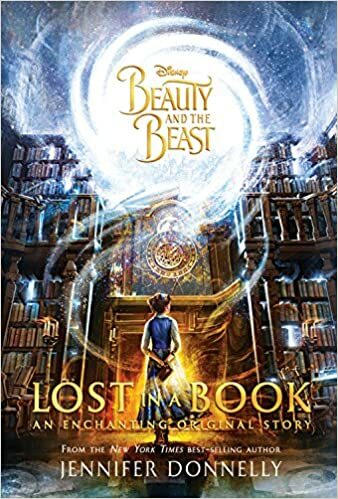 I think it’s really cool that someone thought about what could have happened at an enchanted castle with a curious, brave, young, book-loving girl, and put it into words! The only downside was that the author was trying a bit to make it easier for younger readers to understand, so it comes across a little cheesily childish at some points, but mostly it’s a good balance. Also, this book now has me wanting a book of the whole story! Books are just so much better than movies for the most part, because no matter how good the actor, you still don’t really know what the character is thinking, or experience the story quite the way it was intended to be experienced, without reading it off a page. Not that I don’t love movies, too of course. This weekend I watched ‘She’s the Man’ with my brother. What are some of your favorite movies turned into books, or books turned into movies? Okay, first of all, I would like to say that I’m pretty sure that the cover artist for this also did the cover art for Shannon Messenger’s books, and man I sure do love all of his covers. Anyways. Moving on. Cool character names- I wonder what their meanings are? Orphan Molly Moon was found as a baby in a box marked ‘Moon’s Marshmallows’. “Here are some off the top of my head. First of all… Be careful of hypnotising under water. I suppose this is an odd one to start with, but I’m looking at a glass of water here, and so I thought of it. So, as I was saying, be careful. This is why. The refraction of the water can do funny things to your hypnotic eye glare and people can think they’re hypnotised by the water and not by you. When they think they’re hypnotised by the water it’s really tricky as they do all sorts of weird things. They want to sleep in the water for instance and they want to keep drinking it. They go into water nymph mode and it can be really embarrassing for them. Be careful hypnotising people near water. I hypnotised a fat woman in the swimming pool in Los Angeles because she was saying how much she needed to do some exercise but couldn’t be bothered. I thought I’d do her a favour and make exercise really easy for her. But when I hypnotised her she fell over backwards and her head went under. It was terrible – she nearly drowned. Rocky had to help pull her out and we had to put her into the life saving position once she was on dry land again. All her makeup had smudged all over her face and she coughed up lots of water. At least she survived. That one gave me a shock. If you hypnotise people through the flames of a fire, your eye glare gets distorted so be careful. This can be really dangerous. When I did it, the man I hypnotised wanted to get into the fire. He could have been barbecued. Luckily I persuaded him that it was a very bad idea so he didn’t. That brings me onto the very important warning that you must be very careful where people are when you hypnotise them. For instance I would never hypnotise someone who was standing on the edge of a cliff or by a busy road – you never know if they’re going to react strangely and move when you first hypnotise them. They might step backwards off the cliff or into the traffic – that sort of thing. I could write a long list of why you should be careful of hypnotising people but I’ll write a short one and you should get the idea. Be careful of hypnotising drivers, when they’re driving, and pilots of planes or helicopters and captains of ships etc. Be careful of hypnotising people holding dangerous things. For instance butchers holding knives, guards holding fierce dogs, police holding guns, old ladies holding umbrellas or heavy handbags. Of course sometimes you will just have to hypnotise on the spot but just beware that if you do it wrong that weapon they are holding can be used against you. Obviously this is good fun but just be careful because animals with teeth can be very scary if they aren’t hypnotised properly. It is lovely though to hypnotise lions and make them cuddly. You can hypnotise elephants to do dog tricks and mice to run in circles and roll on the floor or climb into matchboxes. When you hypnotise animals you have to work out a way of explaining what you want them to do. That is quite difficult…. Easy if you speak lion or elephant or mouse. Difficult if you don’t. Remember that you probably don’t want a lot of attention if you are hypnotising people, so don’t ask them to scream at the top of their voices or do something that will have them arrested. To be a responsible hypnotist you should always make sure that you are around to bring a person out of the trance that you put them in. If they are miles away in a police station you can’t get to them… unless you hypnotise a few policemen. Generally anyway you don’t want to make people do things that make them get into trouble as this is not very nice… (unless of course they deserve a bit of a punishment like Adderstone did). I have found that hypnotism is best when it is used to help people. It’s brilliant for curing bad habits like smoking, over-eating, fear of flying, fear of making friends, that sort of thing. And as a hypnotist it always feels so nice to be useful like this. Lastly, remember that you can also hypnotise yourself. 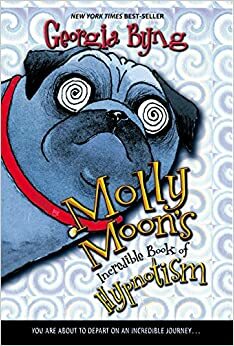 Molly Moon is an enjoyable book, though I must say that I might like her pug better than her. She’s fairly rad, of course, being able to hypnotise people, and, later, do crazy things like time travel and stop time. (This is the first book in a 6 book series) Her best friend Rocky is also pretty awesome. I need to reread the rest of this series, I must say, because while this first book is entirely necessary for setting the stage for the rest of the series, I do believe that I prefer the later on ones when her hypnotism-skillz are already developed more fully, because she manages to do some pretty awesome stuff that way. I think at one point she turns into a ladybug maybe? When she realizes that she can switch bodies with others sort of? Don’t take my word for it, like I said I need to do some rereading here, but I’m pretty sure that happens, which in itself is a valid reason to read the books. 😉 Have a great week!